The past couple of years have been very exciting for the development of artificial intelligence. Supercomputers of this kind are now able to learn on their own and perform much more advanced tasks than before. 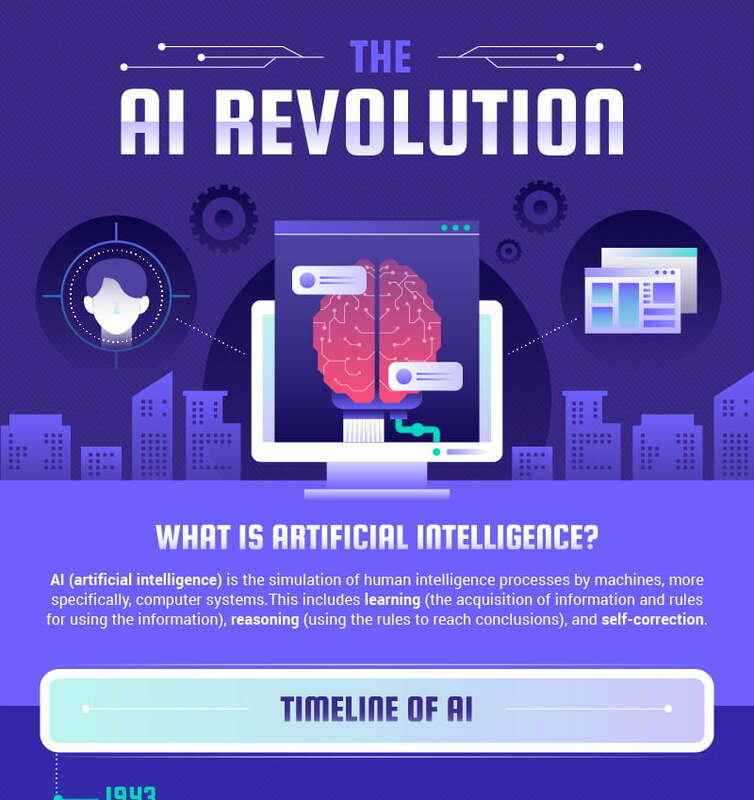 The team from TechJury made an interesting infographic on the subject of AI, and you should check it out below this text. You should especially pay attention to the impact of AI which is very widespread these days and has positively affected many industry branches. One of the most important uses of AI is in transport. Autonomous vehicles that use this tech are much safer and can save thousands of lives in the long run. Moreover, aerospace can rely on AI for safe autopiloting and weather detection. The sports industry has a lot to be excited about as well. AI in sports can reduce the often-faulty human factor of referees. It can be used for sports analysis and data, and it can provide fans with automated video highlights. Smart personal assistants are what a lot of people use these days. AI-based software like Alexa, Siri, and Cortana, among others, can provide hands-free assistance on a daily basis and be connected to your smart home gadgets. Governments from all over the world invest billions in artificial intelligence. The reason is that they can rely on this technology to identify potential threats, like cyber attacks, for example. They can also use AI for political campaigns and public opinion monitoring. The medical industry strives towards having perfect surgical robots that can perform difficult operations with much less risk. AI in healthcare can also provide personalized treatment, predict epidemics, and help patients in drug recovery. Agriculture benefits from the development of artificial intelligence too. Supercomputers and robots can be used here to determine the quality and health of soil, as well as harvest on their own. We all spend a lot of time on our social network platforms, and they are slowly becoming completely run by AI. Stuff like face recognition, friendship suggestions, and newsfeed personalization are already in use on websites like Facebook and Instagram. It’s interesting to know that Twitter is one of the most famous companies who have invested in big data and AI. There’s a lot more to talk about when it comes to AI than what we mentioned above. Enjoy the infographic below and see the full story on the revolution of artificial intelligence.